A world-caliber collective of women working in a class almost entirely their own, Hear in Now is a string trio that composes and improvises fluidly between free jazz and contemporary classical, folk music and avant-garde. 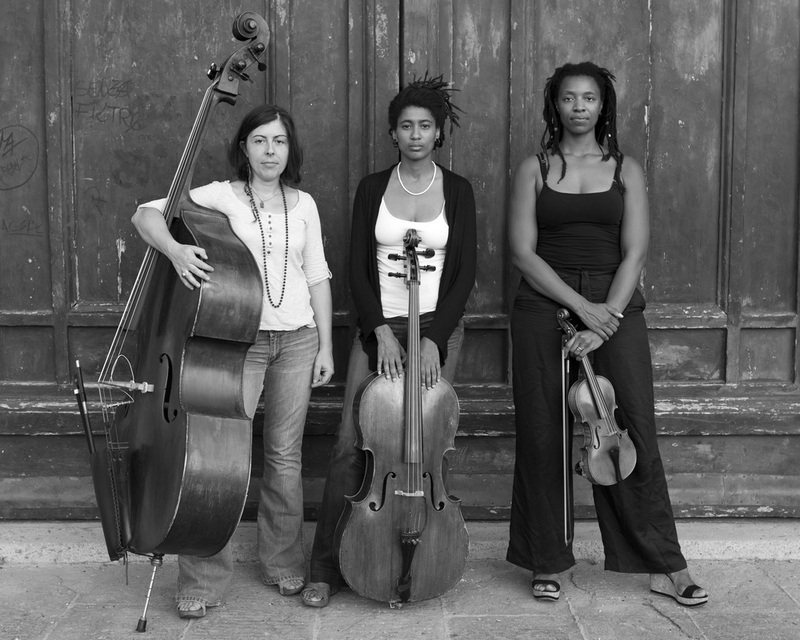 Originally banded by a commission from WomaJazz in Italy, Mazz Swift (violin), Tomeka Reid (cello) and Silvia Bolognesi (double bass) came together from their homes in New York, Chicago and Siena, Italy, to not only perform but also meet for the first time on the same date in 2009. In the 8 years since that first encounter, Hear in Now has become a rare egalitarian ensemble for the three highly active musicians, who are as often singular band leaders as they are sidewomen. In those respects, their compiled musical CV is as impressive as it is diverse – including collaborations, performances and recordings with Anthony Braxton, Nicole Mitchell, Butch Morris, William Parker, Common, Jay-Z and Kanye West – and as a unit they comprised ½ of the Roscoe Mitchell Sextet for several European shows in early 2017.